Tamannaah to shoot for Bengal Tiger in Hyderabad and Pollachi? 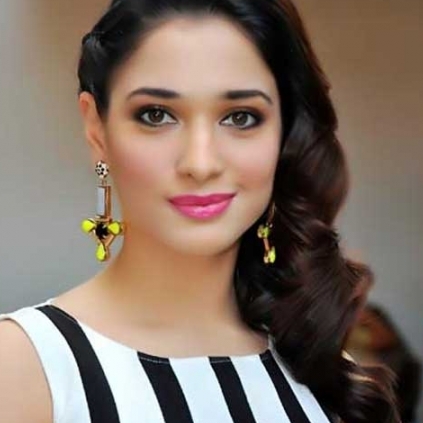 HYDERABAD FIRST, POLLACHI NEXT FOR TAMANNAAH? Ravi Teja’s upcoming Telugu flick Bengal Tiger, directed by Sampath Nandi of Racha fame (Dubbed as Ragalai in Tamil starring Ram Charan Teja) is apparently 40 % complete. Reportedly, some talkie portions and a couple of songs have been canned as of now, which include one typical run-of-the-mill Telugu Kuthu number with Ravi Teja, Tamannaah and Rashi Khanna shaking their legs for it. The next schedule is expected to start by the 6th of June; supposedly some massy power packed action scenes will be shot in the coming schedule and post that, the makers are planning to can some portions of the shoot in Pollachi. Another meet for AR Rahman with the Obamas ? Taapsee's Kanchana 2 is taking her forward towards her next? People looking for online information on Bengal Tiger, Ravi Teja, Tamannaah will find this news story useful.